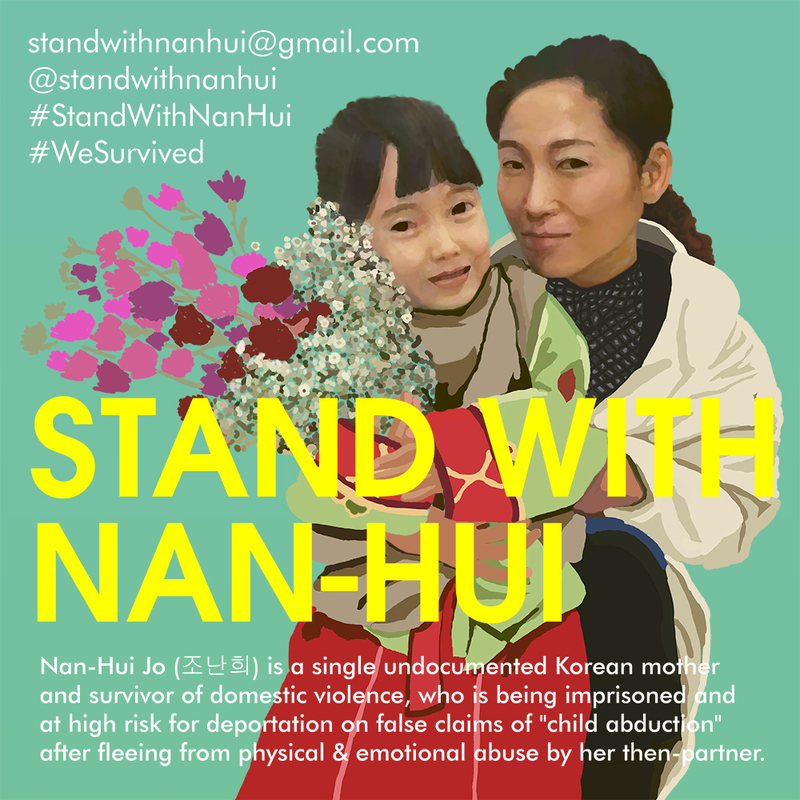 In July 2014, drug Nan-Hui Jo, a single Korean mother and survivor of domestic violence, was separated from her six year old daughter, Vitz Da, and arrested on claims of child abduction. In 2009, Nan-Hui fled to Korea with Vitz Da to escape physical and emotional abuse by her then-partner and father of the child, a combat veteran of the Iraq War with PTSD and anger issues. Using a common manipulation tactic to control a partner’s attempts to regain independence, her former partner retaliated by reporting Nan-Hui for child abduction. Last July, when Nan-Hui arrived with her daughter to Hawaii, she was handcuffed, arrested, and immediately separated from her daughter. Nan-Hui has not seen her daughter in over seven months.